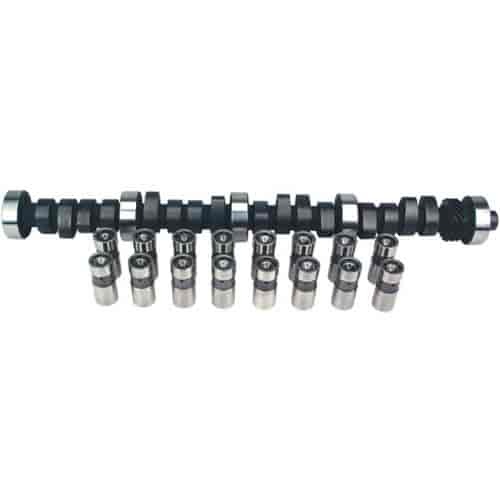 Performance camshaft for mild street machines. Broad power, noticeable idle. Does COMP Cams CL42-229-4 fit your vehicle? CL42-229-4 is rated 2.0 out of 5 by 1. Rated 2 out of 5 by Jared from Very frustrating I bought this cam and lifter set for my olds rocket 350. I broke it in according to procedure and used all the right lubricants. A couple weeks go by and I decided to swap intake manifolds, from 2 barrel to 4 barrel. When I took the intake off, every single lifter on the passenger side of the motor had there keepers break and fall into the valley. The only thing that held them together was the pushrods. But I would have never have known because they didn't make any weird noises. Jegs was nice and let me return them for my money back. So 5 stars for their service. Not the product. Needless to say, I was a week without my car and did not get comp cams replacements. The camshaft seemed to be okay.